The new All-Ireland winning manager has spoken out on the controversy that emerged after yesterday’s clash in Croke Park. DONEGAL BOSS JIM McGuinness has revealed that ‘inaccuracies’ that he says appeared in the book ‘This Is Our Year’ were behind his decision to ban a journalist from his press conference after yesterday’s All-Ireland final. McGuinness refused to speak to the written press in Croke Park yesterday until after the book’s author Declan Bogue, a journalist with the Belfast Telegraph newspaper, had left the room. Bogue’s book, which featured former Donegal defender Kevin Cassidy, led to the controversial end of the Gweedore man’s inter-county career last November. McGuinness also hit out at other ‘vile’ articles which appeared in the media after the incident last year and described it as ‘all-out attack’ on his character. “I’ve never broken court since the whole thing happened. I’ve held my dignity, I’ve let myself be castigated and I done that because I gave somebody an agreement that I wouldn’t break my court on it. “The person who wrote that book had no researcher on the book to qualify what was said. The other people in the media who wrote fairly vile articles had no researcher to qualify the comments and it was all-out attack for a couple of months on my character. “There’s another person if he was here who would be out of the room as well. Absolutely vile what he wrote. All falsehoods. You could get away with it and degrade somebody to that level and feel then you can write another article to rectify the wrong. “It’s wrong. I’m not going to be two-faced and not going to sit in here and (let them) have their jam on both sides. It was a very hard period in my life for my family and everyone else. “I know what I’ve done, I know what I’ve coached and I know what I am as a person. So I’m not going to let somebody sit in a room and fill their pages tomorrow on the back of what we done today. “The person who just left the room (Declan Bogue) made a phone call to Rory Gallagher to see if he could come to a press night a couple of months ago. And I said if he corrects what he said through his paper, if he corrects the inaccuracies, then he’d be more than welcome to come to the press night. McGuinness also explained why he waited until the aftermath of his side’s major triumph over Mayo yesterday before breaking his silence on the issue. “It would have been easier for me to turn around and say I want an apology’. But the reality is once it’s out there it’s a historical document. It doesn’t matter if he turns around 24 hours, three weeks or three months later and apologises. “The people that read it in the first place have made their mind up, have a concept in their head about me and that cannot be change moving forward. That’s why I held my court. I always work with the media but I’m not going to let anybody ride two horses. 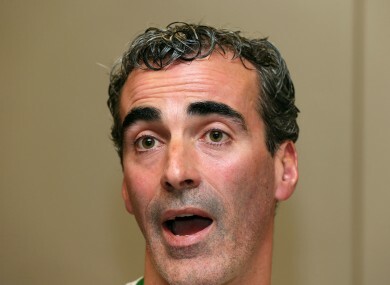 Email “Jim McGuinness: “It was all-out attack for a couple of months on my character””. Feedback on “Jim McGuinness: “It was all-out attack for a couple of months on my character””.